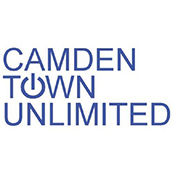 Camden Town Unlimited (CTU) has served the businesses of Camden Town for over nine years, having been voted in through two ballots. We are now entering our third election period. We have the same fundamental principles and goals of any other BID, to enhance the commercial environment for the business community. What makes us stand out is the activities and discussions we get involved with, going beyond the traditional remit of BIDs.